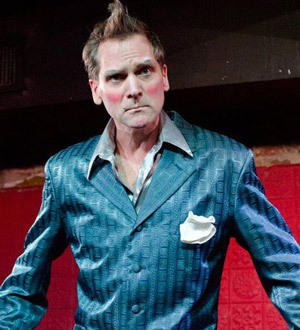 Kevin C. Carr has been a professional working actor, magician, clown, street performer, stuntman, writer, producer and director in the entertainment business for over 20 years. He's a graduate of Ringling Bros., Barnum & Bailey Clown College & has toured & performed throughout the country with THE GREATEST SHOW ON EARTH. He's also a graduate of The American Academy of Dramatic Arts in NYC and his theater credits range from off-Broadway to regional/stock from NYC to LA to Las Vegas to Austin & back again. His film & TV credits include such co-starring/featured roles on "C.S.I. ", "FRIDAY NIGHT LIGHTS" & work as a motion capture artist/voice-over/stuntman in "THE POLAR EXPRESS", just to name a few. He currently resides & works out of Union City, NJ as a Variety Artist/Creative Director of KCC Variety Entertainment, providing live entertainment for ALL events serving the continental USA & abroad. He is thrilled to be performing at the CLOWN CABARET in our nation's capitol and, after all these years, still considers himself fortunate to be considered, by many, a bohemian/gypsy wackadoo of madcap, ludicrous proportions. Drew Kopas: An Artistic Associate with Faction of Fools and Constellation Theatre, he has also performed locally at the Shakespeare Theatre Company, Olney Theatre Center, 1st Stage, Keegan Theatre, and Rep Stage. Regionally, he has performed with Everyman Theatre, Virginia Shakespeare Festival, and Great Lakes Theater in Cleveland Ohio. He will perform at the Idaho Shakespeare Festival this summer. Jack Novak is an actor, writer, and teacher, recently transplanted to the DC area from Chicago. Currently, he can be seen improvising with Commonwealth--one of Washington Improv Theater's house teams. He will be appearing this summer in Fox Cried, a collaborative performance in the Source Festival. In Chicago, he studied Mime and worked with The Mime Company, creating and performing an extensive repertoire, as well as the adaptation Mime Orpheus. He is also an ensemble member of the Filament Theatre Ensemble--credits include From the Circle, (Director/Storyteller) and Orpheus: Featuring DJ Puzzle as Fate (Bouffon). 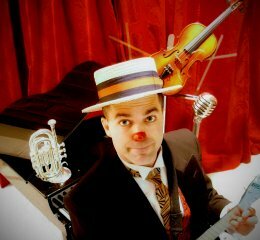 He has studied mask and clown from Giovanni Fusetti, Jon Sherman, and Omen Sade; and studied improvisation at Second City and The Annoyance. 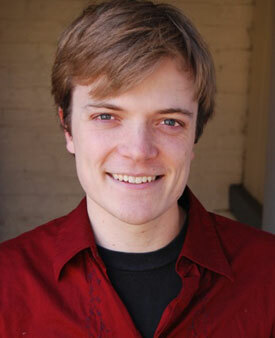 Jack holds a degree in Theatre from Northwestern University. Toasty Poocracker is an actor, educator, graphic and web designer, and clown. Recent acting credits include a national tour with the American Shakespeare Center of The Taming of the Shrew, The Merchant of Venice, and Henry Vin repertory; Richard III and Pride & Prejudice with the Shakespeare Theatre of NJ; Proof with TheatreFest; A Midsummer Night's Dream with the American Globe Theatre; and the film Cult of Sincerity, recently broadcast on PBS. He has also taught workshops and classes in Classical Text, Acting Shakespeare, and Clown as a teaching artist for the Shakespeare Theatre Company and at other venues including Broadway Theatre Workshop, Knox College, and The Center for Baroque & Renaissance Studies' summer program. He received his MFA at the Shakespeare Theatre Company's Academy for Classical Acting at The George Washington University. BFA, Montclair State University. 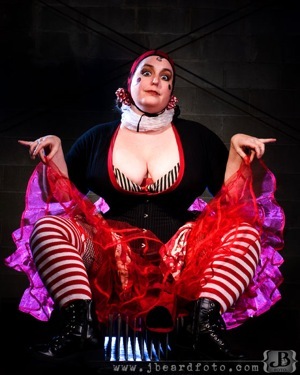 Mab Just Mab, DC's Own Sideshow Girl, combines artistry and pain to create hilarious & compelling entertainment. A glasswalker and blockhead, escape artist and ukulele fanatic, she is a tenured freak at DC's notorious sideshow venue & museum, The Palace of Wonders. 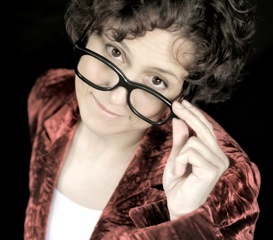 Mab has as been featured in several documentaries and books on the sideshow revival, and performs solo, with The Accidental Circus, and as a pillar of the Cheeky Monkey Sideshow.